← What is the meaning of “n-up on startup” in docPrint preview application? 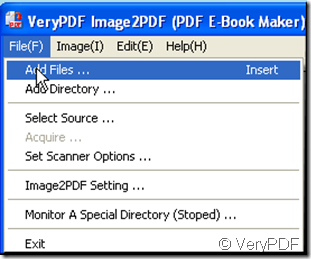 How to add multiple directories files into Image2PDF? Thanks for your support for Image2PDF. 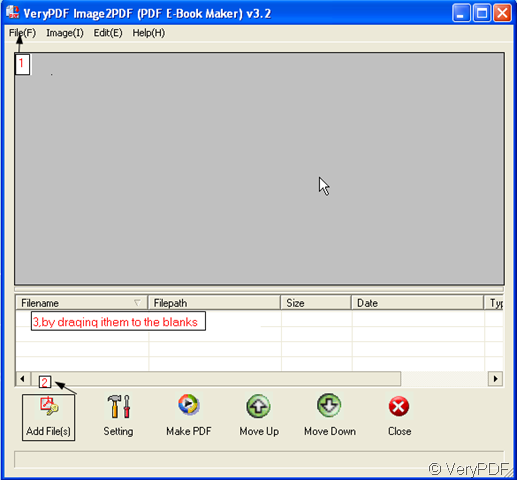 There are many ways to add files to Image2PDF. We can talk some of them here,hoping they will be helpful for you. 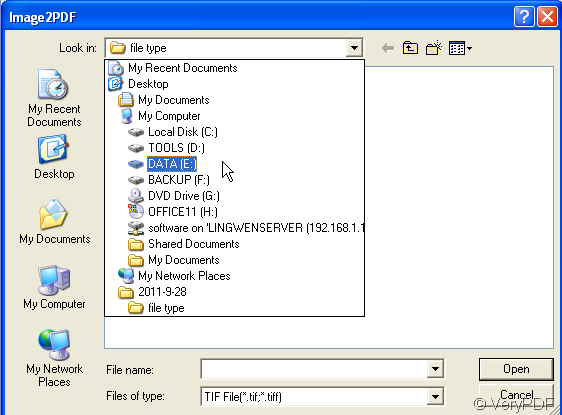 Download this software here:http://www.verypdf.com/tif2pdf/tif2pdf.htm#dl If you have installed in your PC, you can ignore this step. Let’s see the interface first, it will be much easier to illustrate. I have marked 3 ways of adding files. All of the three ways can add multiple directories files into Image2PDF as to which one should you choose depending on the files disposition situations. I will show them one by one. Click “File” to add. When you click it, you will see the optional field like the picture 1 shows. Then choose “Add files” you will enter another dialog box like picture 2. 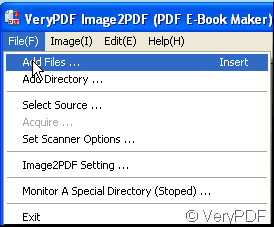 At there you can choose each directory files to Image2PDF . If your files are at different directories , you have to add them several times. Or you can choose “Add Directory” to add, it is the easiest way to add files at multiple directories. 2.You can click the “Add Files” . Actually, this function key is the same as “File”. “Add Files” is put at the most conspicuous position, you can find it once you open this software. If you click “Add Files” , you will enter the same dialog box as clicking “Add Files”. 3.The simplest way is the third one. Directly put all your files needed to be converted on the desktop then drag all of them to the blanks. Or you can open each directory to drag them to blanks.Maybe you will feel the blanks are a little skimp, but once you add you will feel that the blanks could be endless long. It will lengthening itself. Then you click “Make PDF” to convert them. Is there a way to convert EMF to PDF? Can I convert PDF to multipage TIFF? Convert pcl to bitmap and set resolution via command line? How to convert my emf file to pdf file from command line? 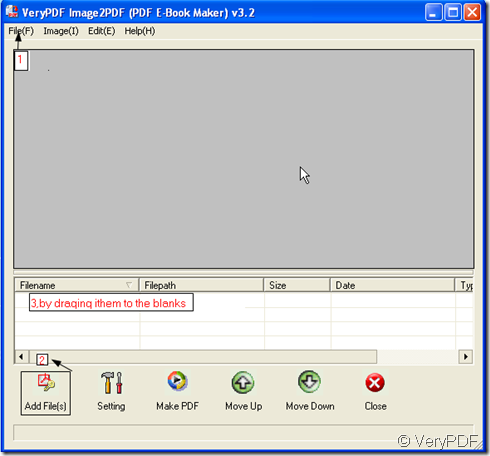 How to convert the scanned WMF to searchable PDF files directly?